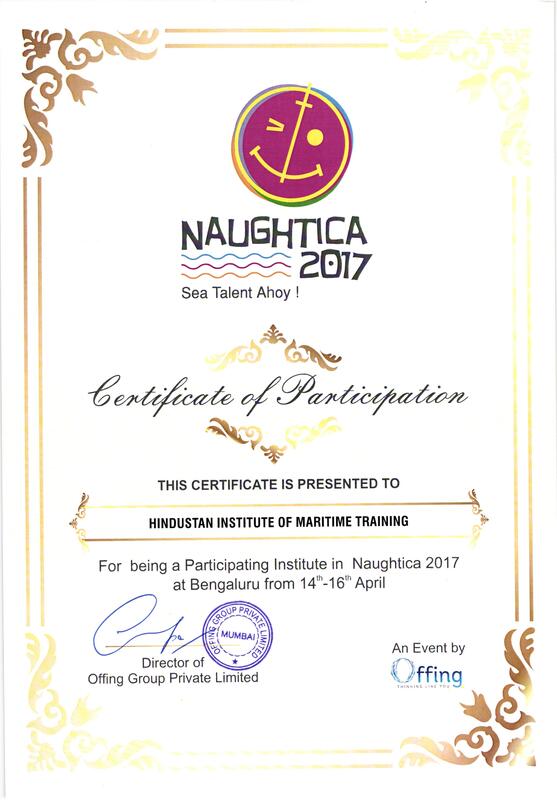 Hindustan Institute of Maritime Training participated in Naughtica 2017 at Bengaluru on 14th – 16th April 2017 organized by Offing. 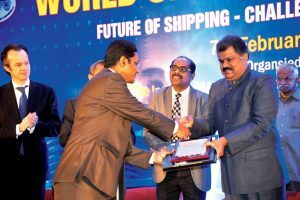 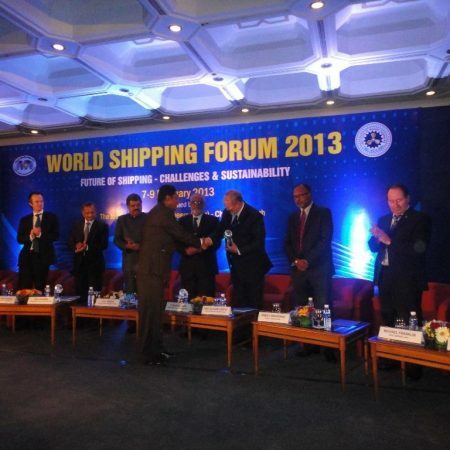 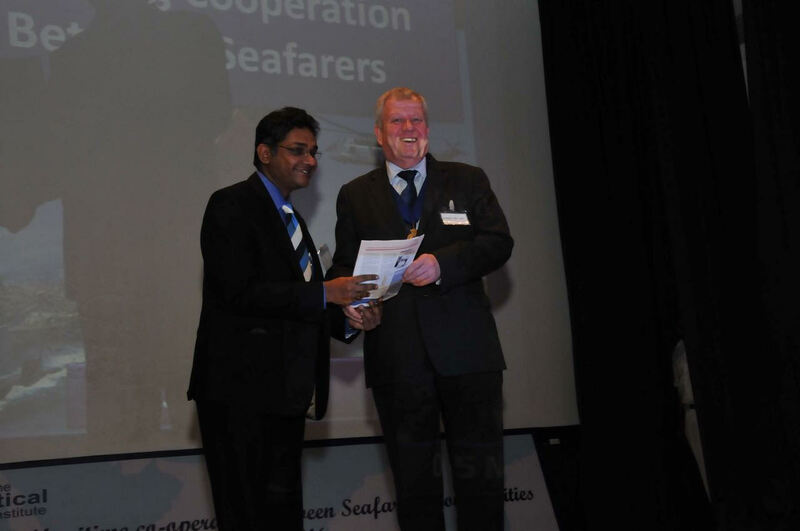 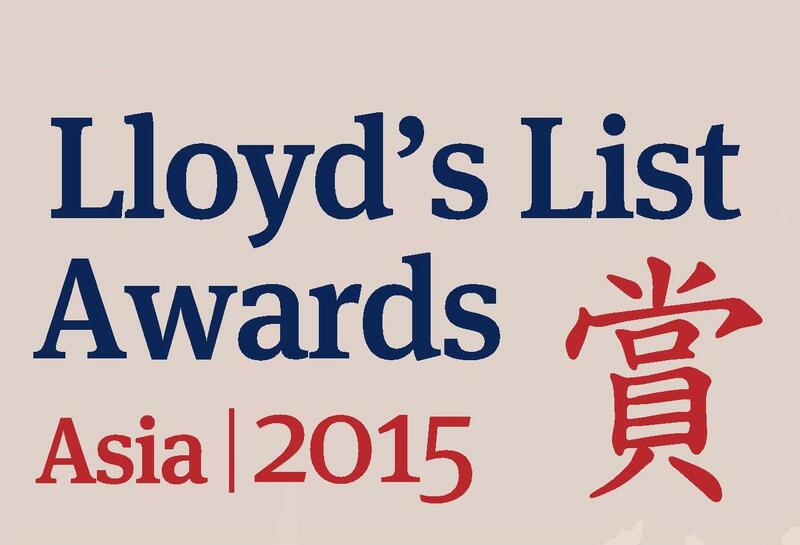 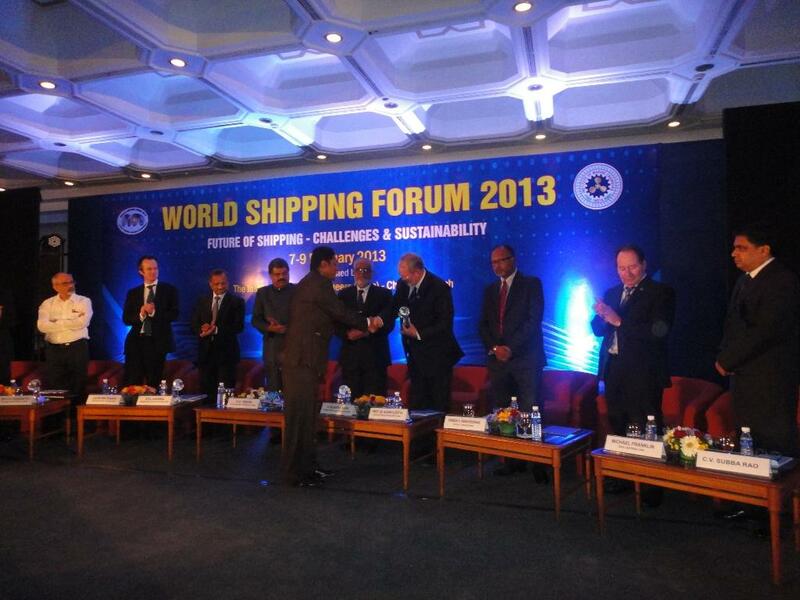 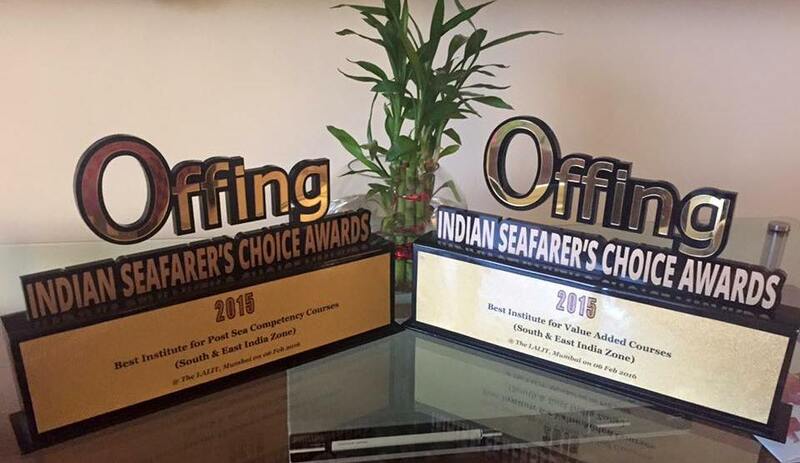 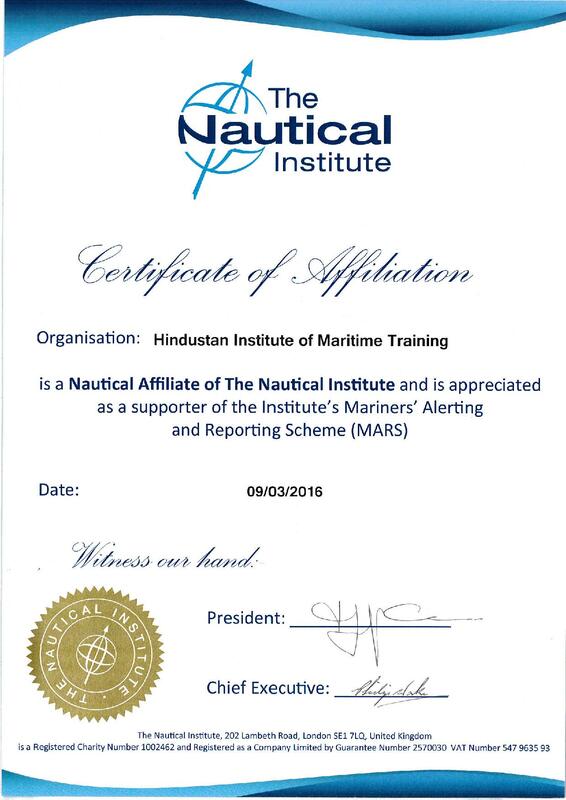 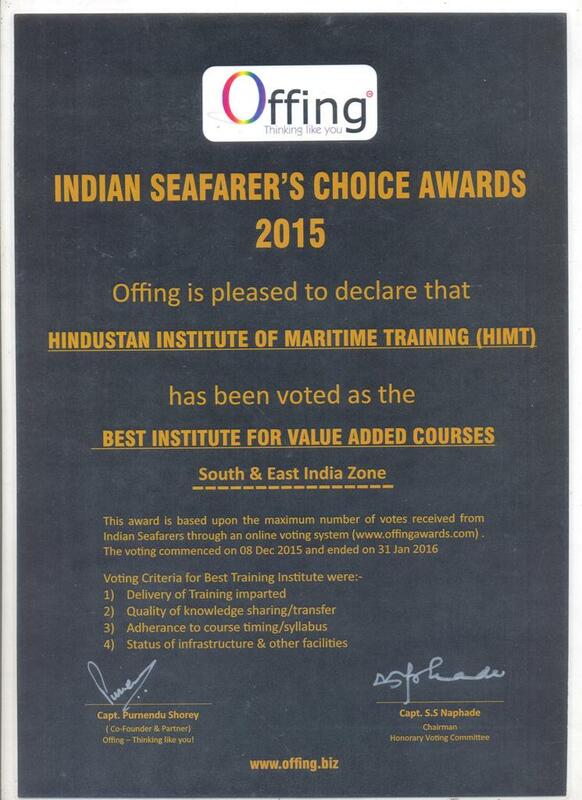 HIMT awarded “Indian Seafarer’s Choice Awards 2015” basis on the seafarers voting at The Lalit, Mumbai on 6th Feb 2016. 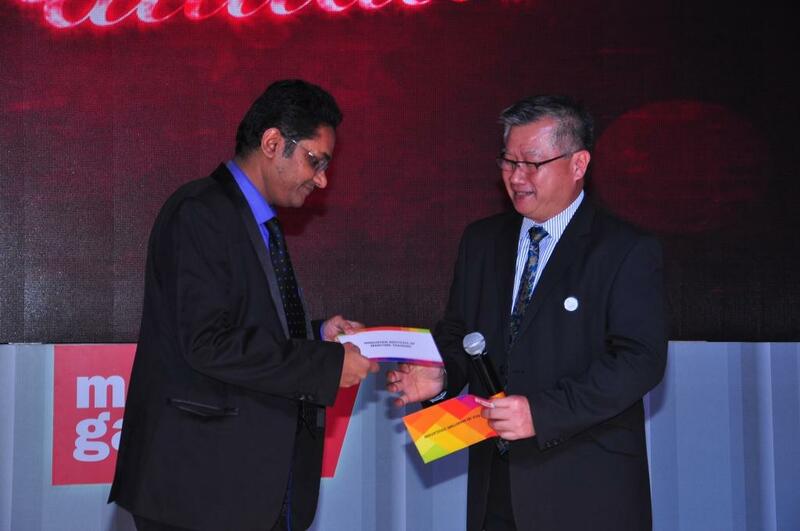 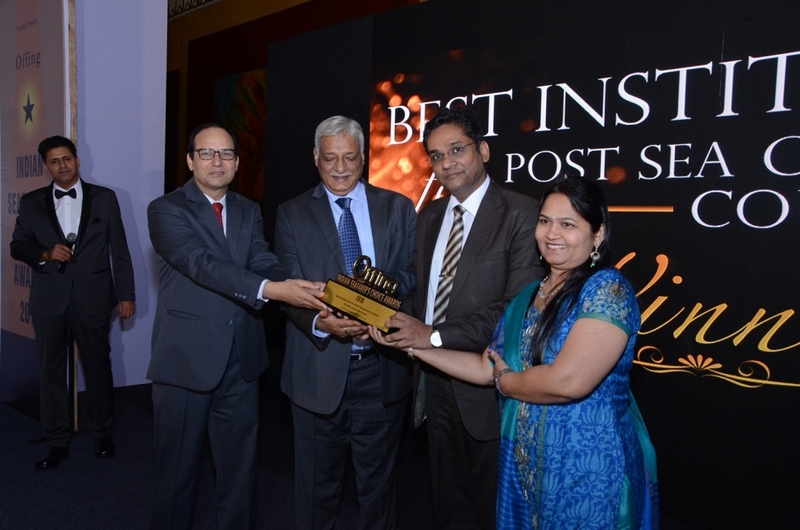 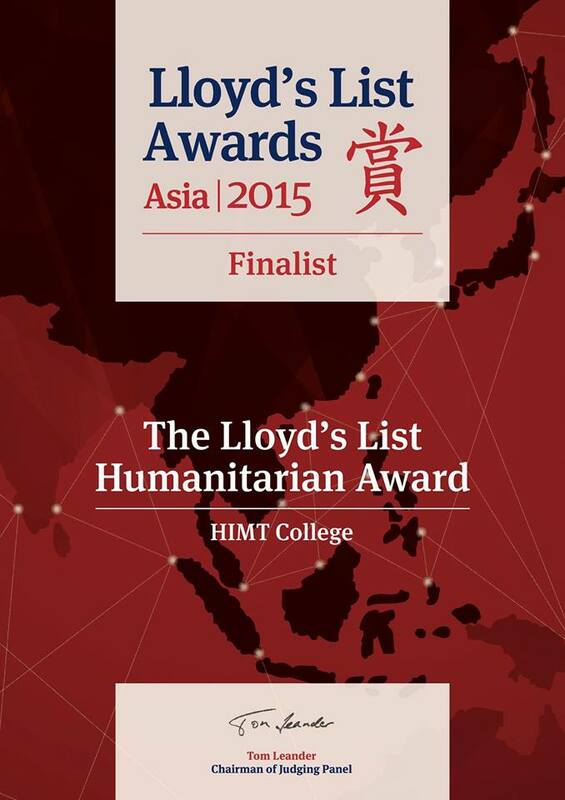 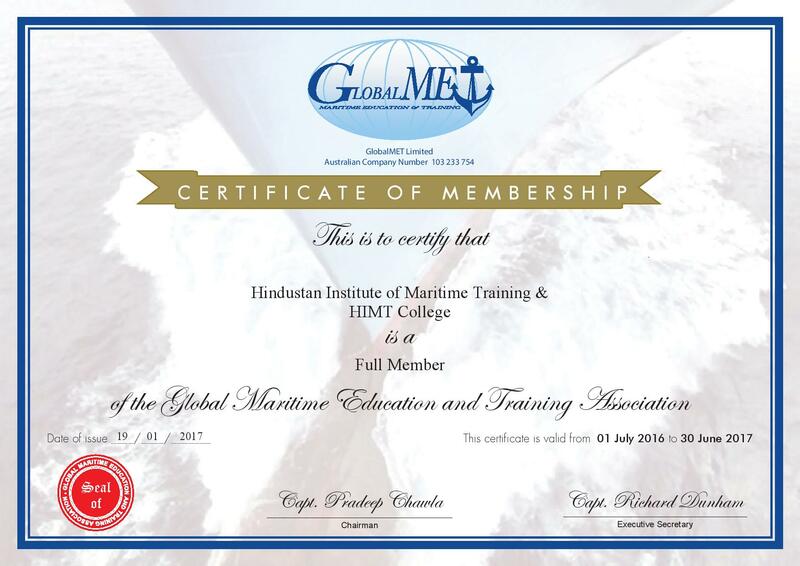 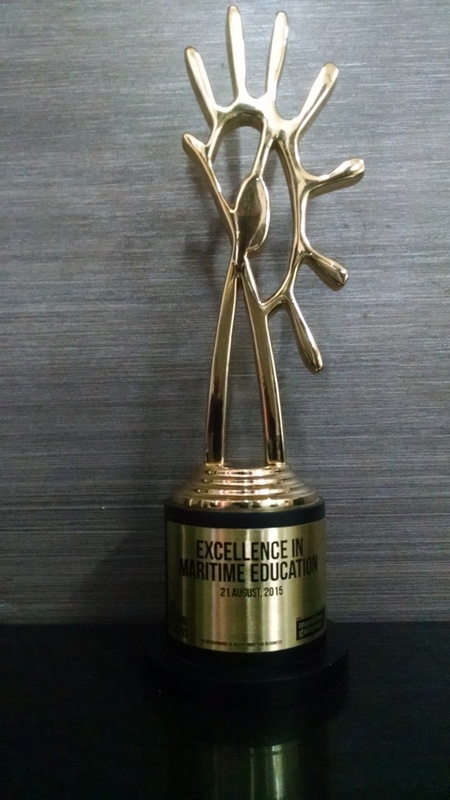 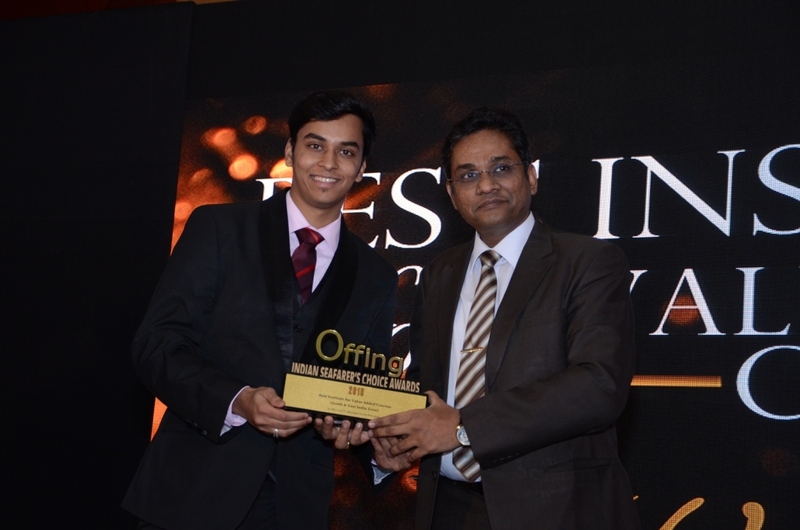 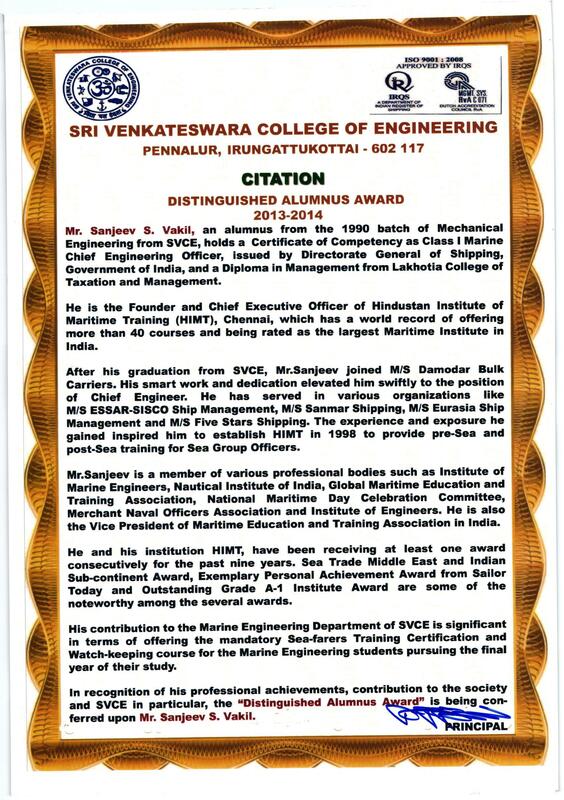 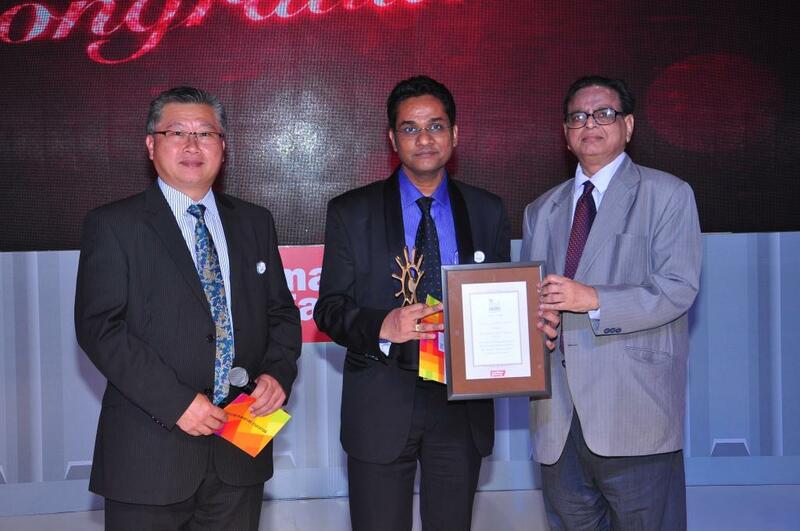 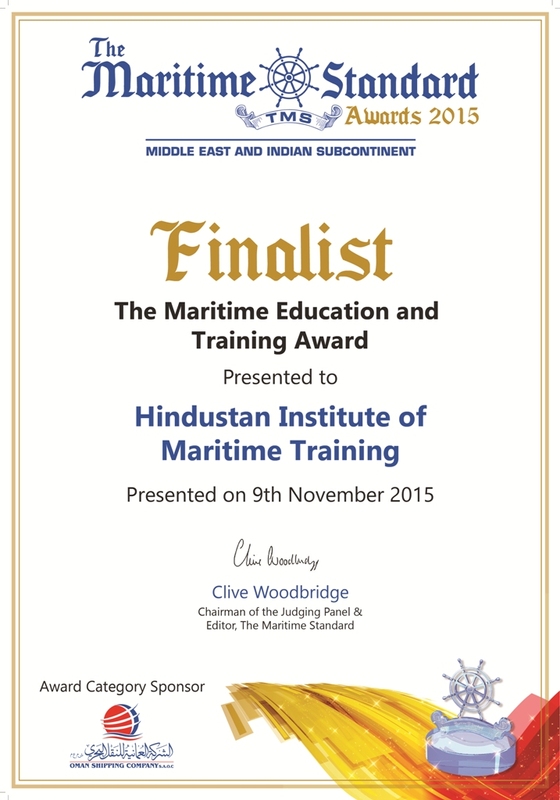 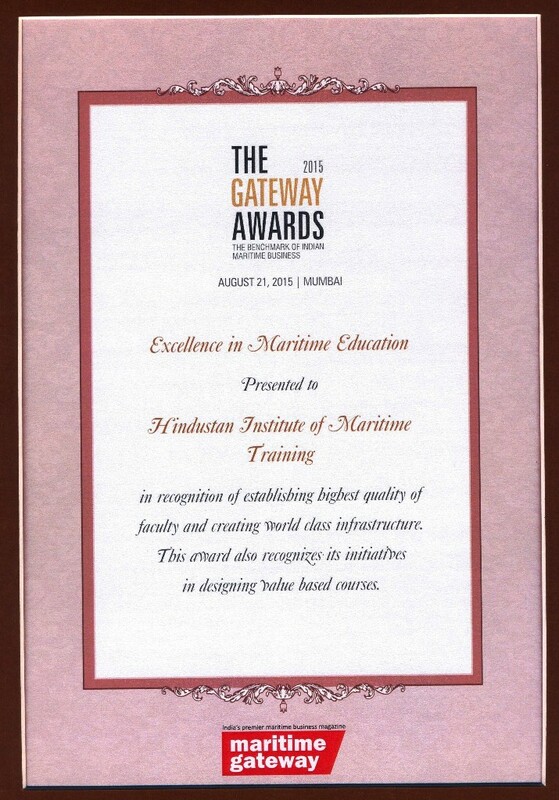 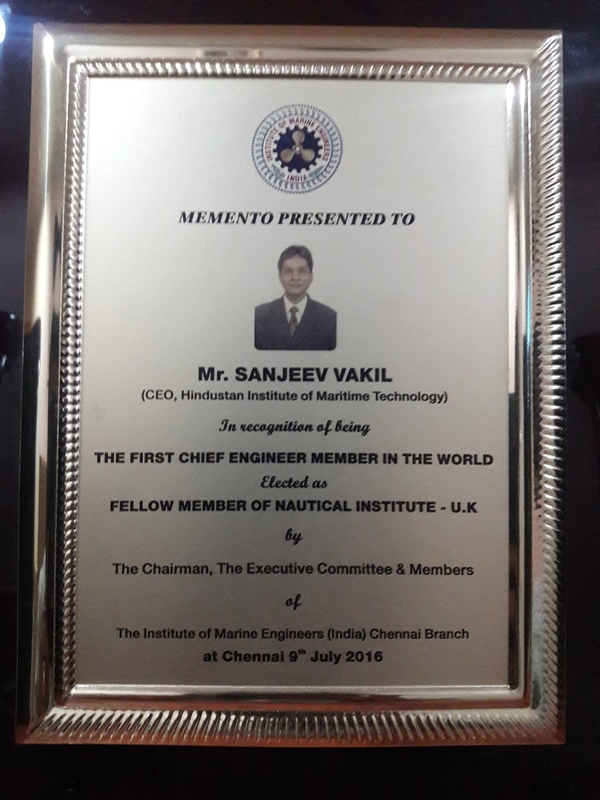 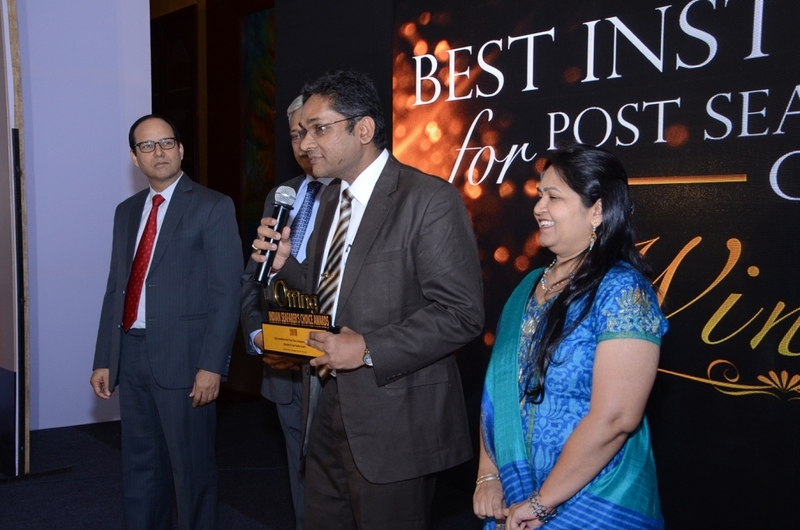 HIMT awarded “Gateway Awards 2015” for “Excellence in Maritime Education” on 21 Aug 2015 at Mumbai. 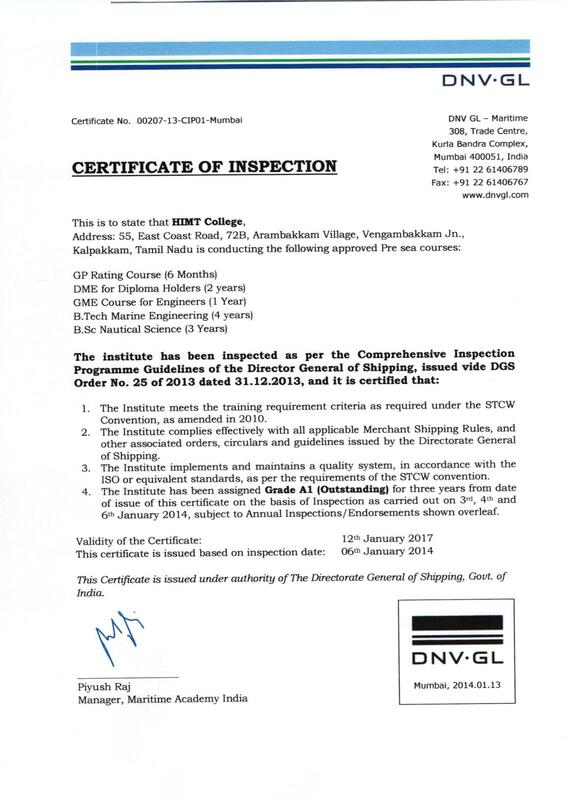 HIMT is glad to inform that by God’s grace and your best wishes we have once again become the First College of India to successfully complete the Comprehensive Inspection Program (CIP) by World’s Largest Class, DNV-GL and awards Grade A1- OUTSTANDING. 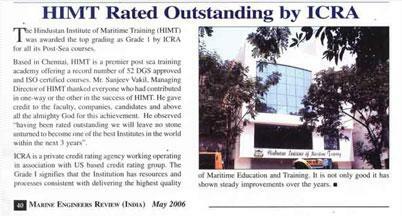 Ever since 2004, when the Grading system was introduced by the Directorate, HIMT has been proactive in its approach and have been in the forefront and have received GRADE 1 from ICRA, CRISIL, SMERA. 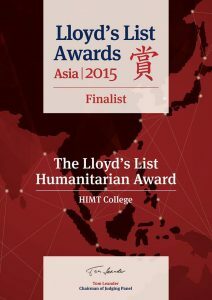 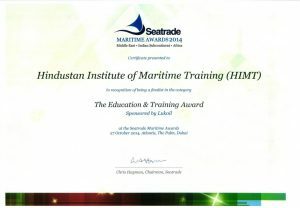 “We are glad to inform you that by God’s grace and your best wishes HIMT has once again been shortlisted in the category “The Education and Training Award” at the Seatrade Maritime Awards 2014 (considered to be the Oscars award of Shipping). Leading personalities from various countries formed the panel of judges to select the Finalist and the awards are to be presented on Monday 27th October 2014 at Atlantis – The Palm, Dubai. 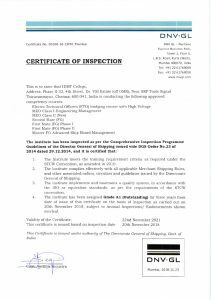 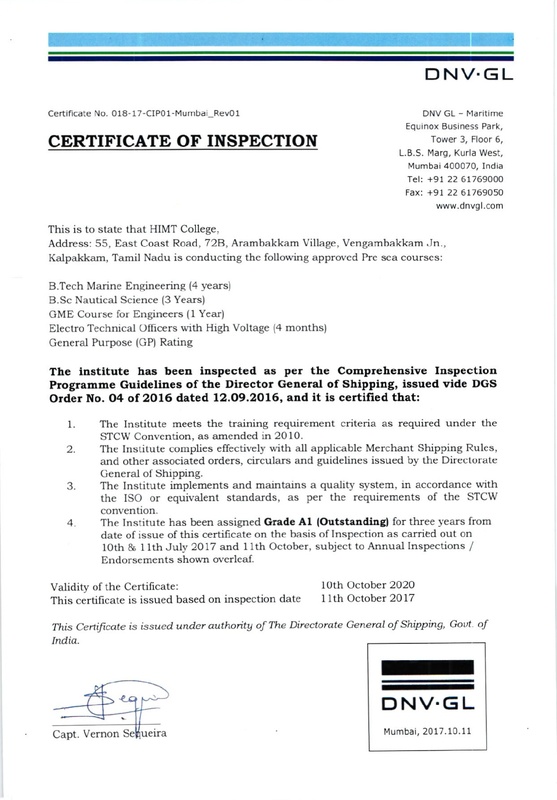 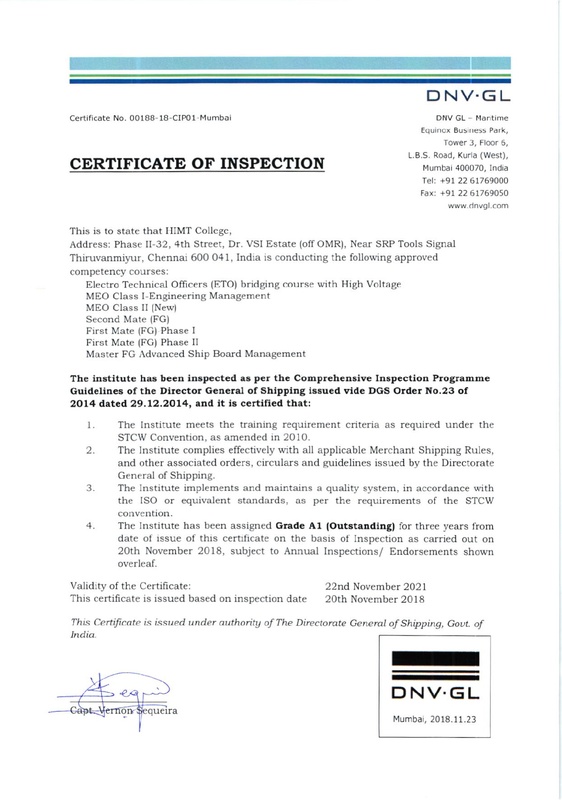 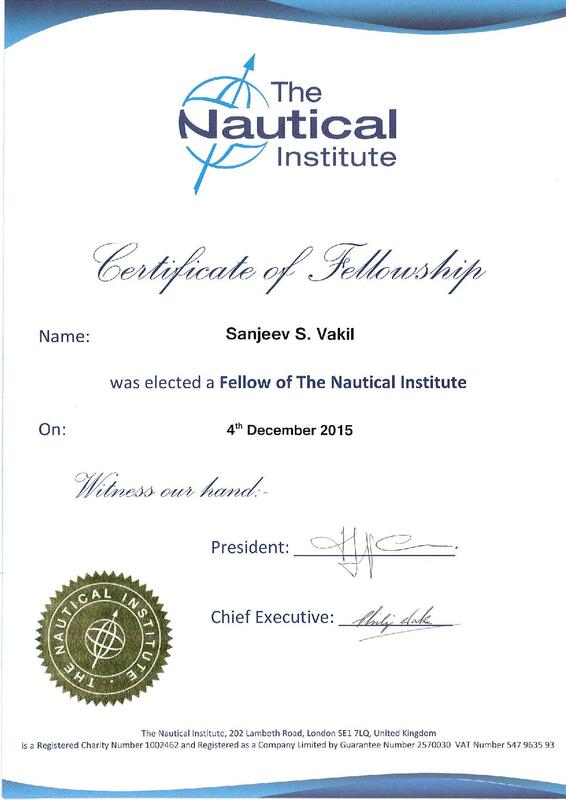 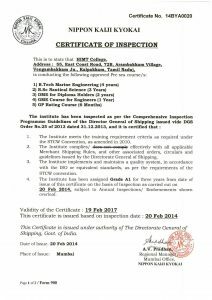 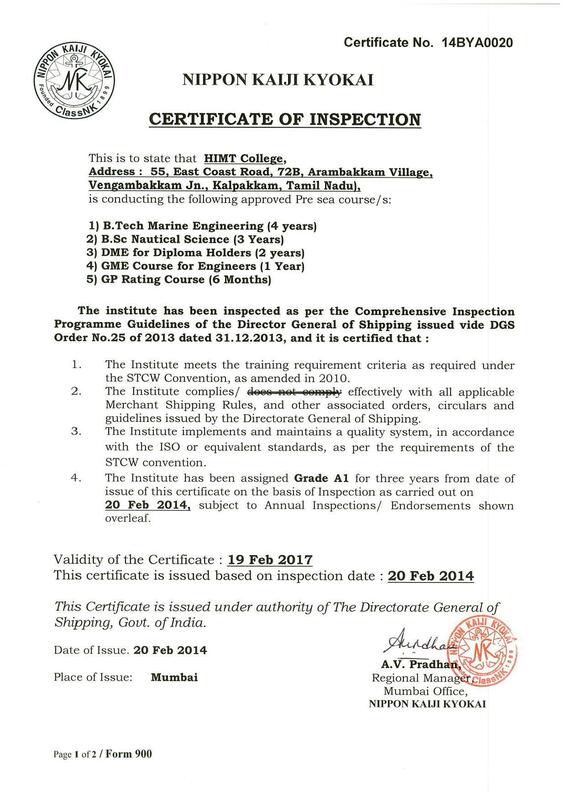 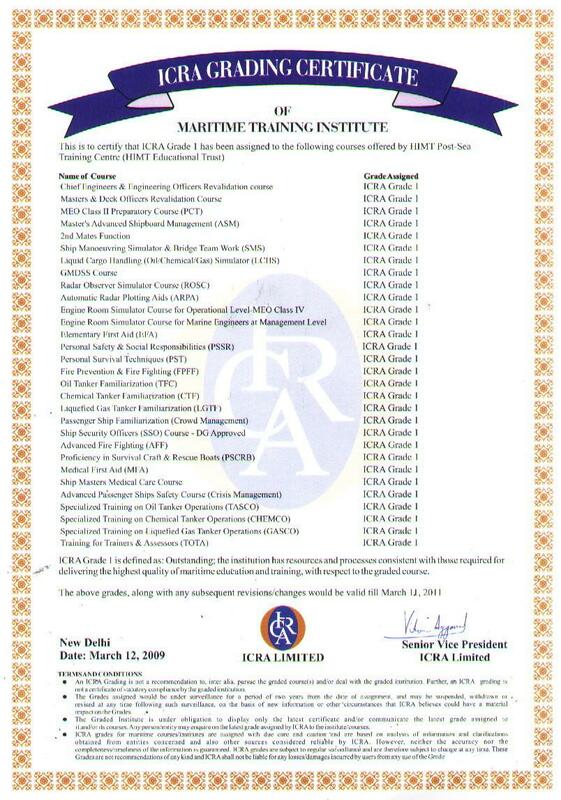 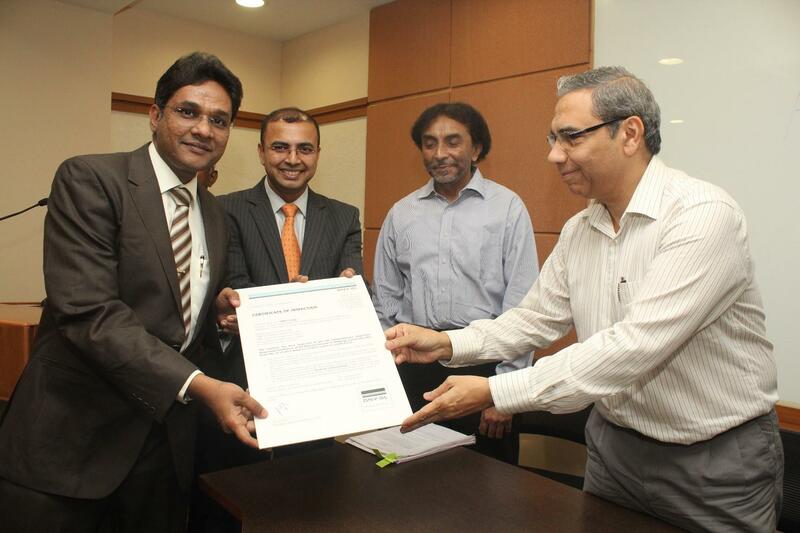 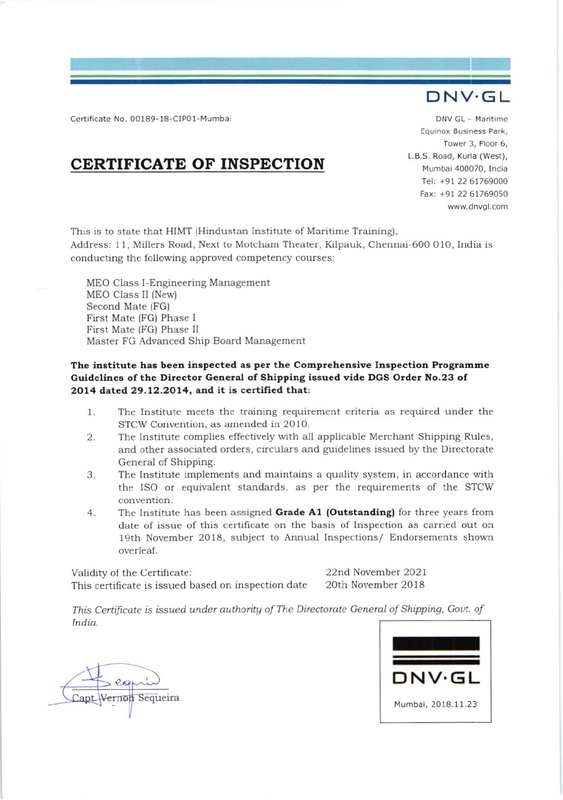 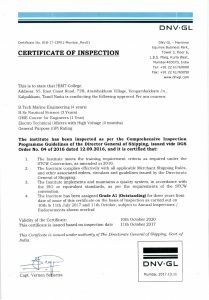 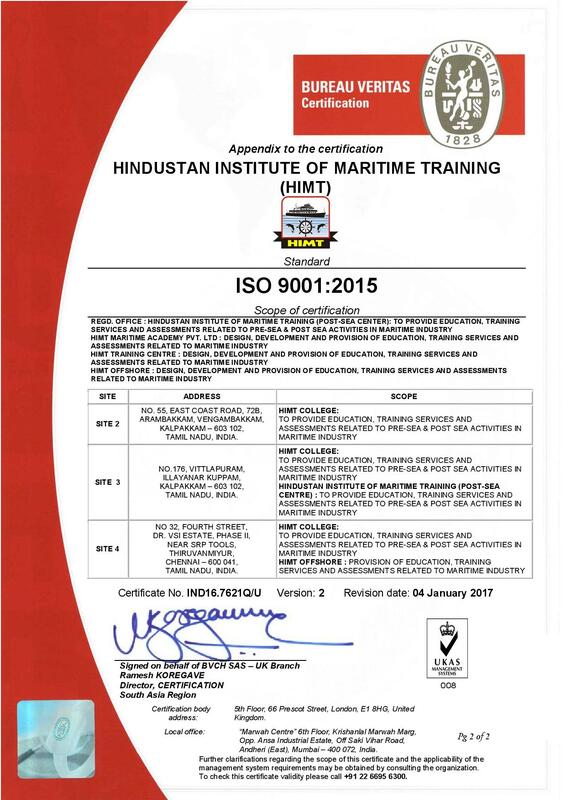 We are glad to inform that by God’s grace and your best wishes we have once again become the First Institute of India to successfully complete the Comprehensive Inspection Program (CIP) for all our Postsea Competency courses basis on the DGS Order 23 of 2014 dated 27th Dec 14 by World’s Largest Class, DNV-GL and awards Grade A1- OUTSTANDING . 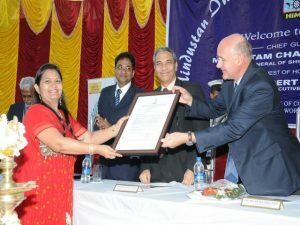 The grading has been awards considering the various parameters which includes Infrastructure setup and Maintenance, Faculty & HRD, Student performance and sustainability of Institute, overall performance and Management. 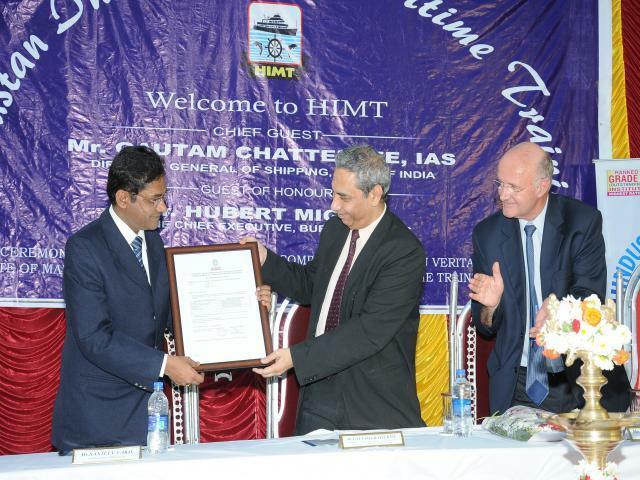 HIMT has now become the first and the only College of India to complete the Comprehensive Inspection Program (CIP) by World’s Largest Class, ClassNK and received Grade A1- OUTSTANDING . 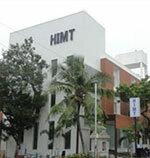 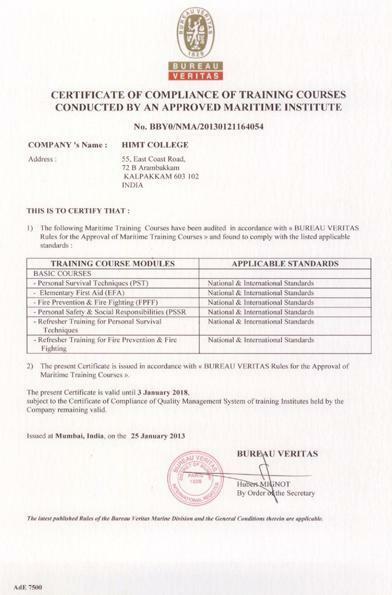 HIMT became World’s Largest Institute to have maximum number of courses certified by a single Class Bureau Veritas last February, and now is the only college of the world to be certified by ClassNK, DNV-GL, Bureau Veritas, ICRA, CRISIL , CARE & SMERA. 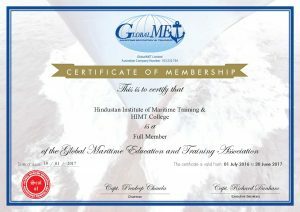 World’s First Institute with a record breaking 40 distinct courses certified by Bureau veritas (BV) classification society. 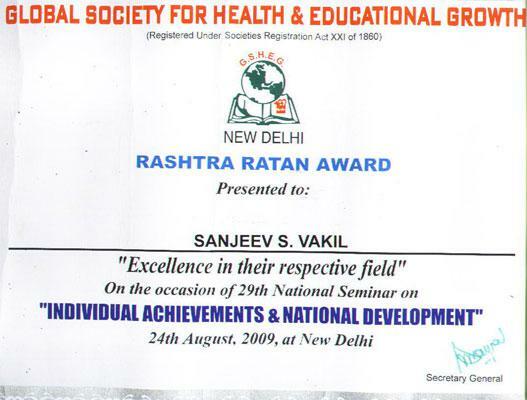 From Left : Justice R.C.Lahoti-Former Chief Justice , Supreme Court of India , Mr.Sanjeev S.Vakil , Mrs.Sanjeev S.Vakil , Justice V.A. 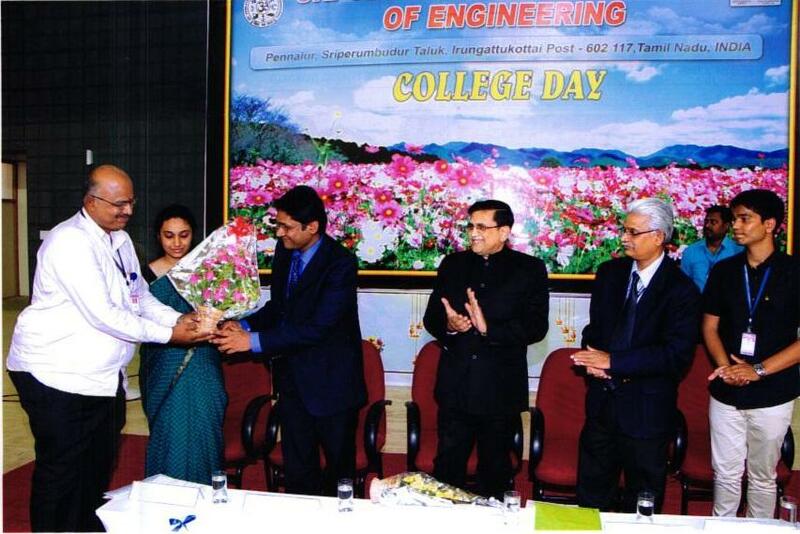 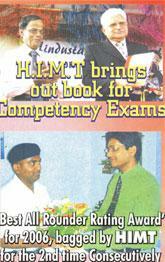 Mohta Former Chief Justice Orissa High Court , Prof.Yogesh Atal – Former Principal Director.U.N.E.S.C.O. 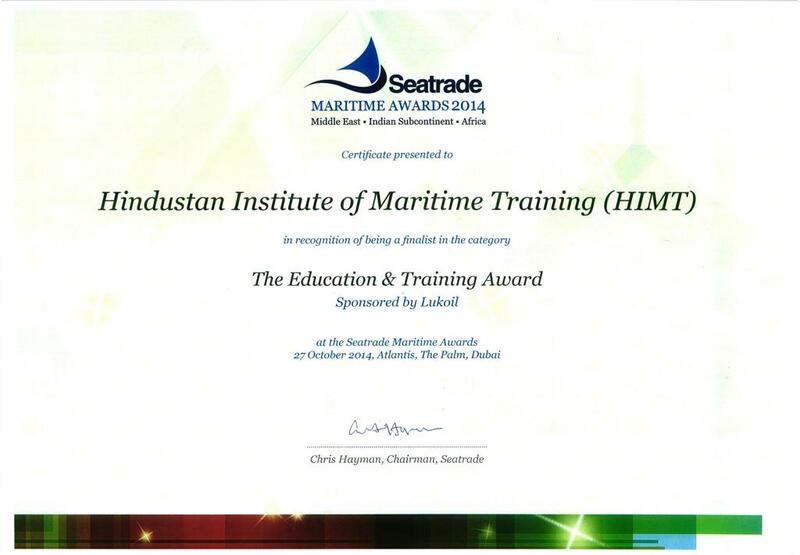 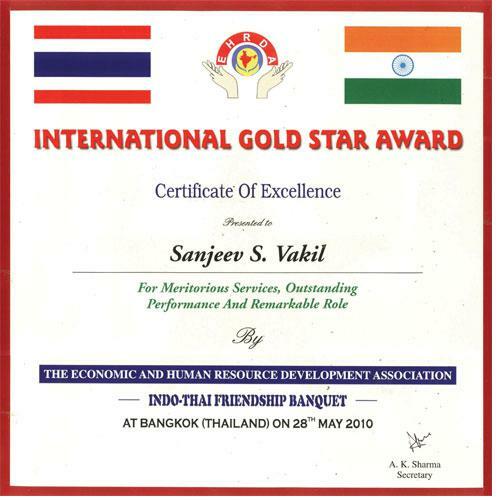 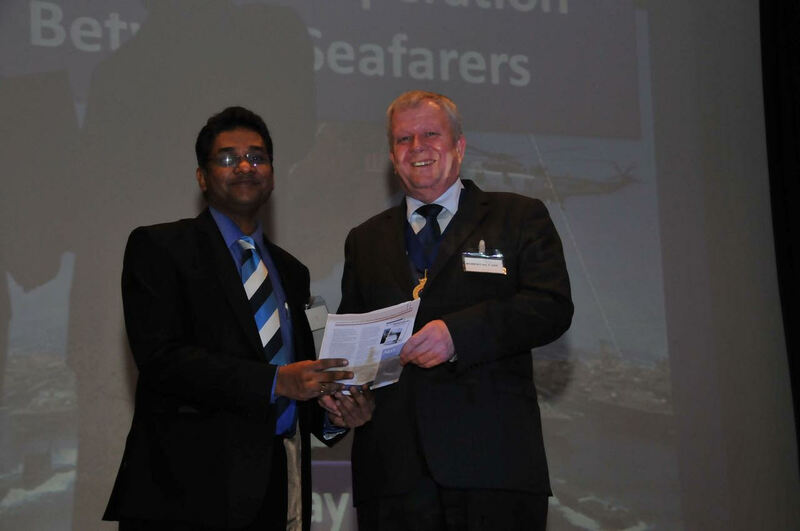 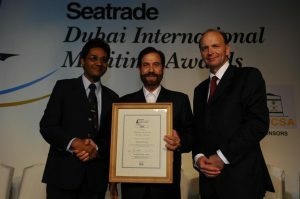 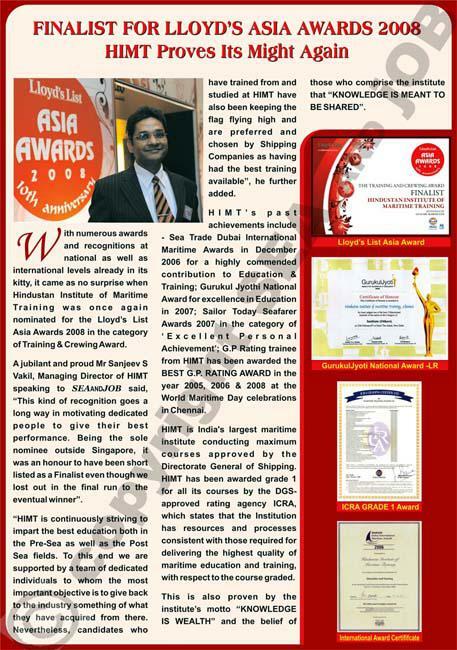 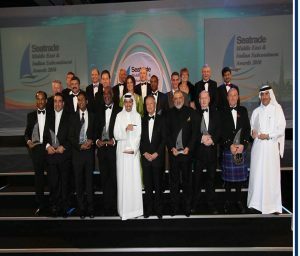 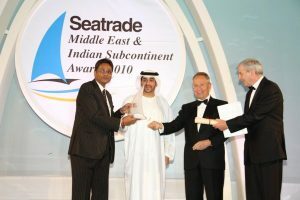 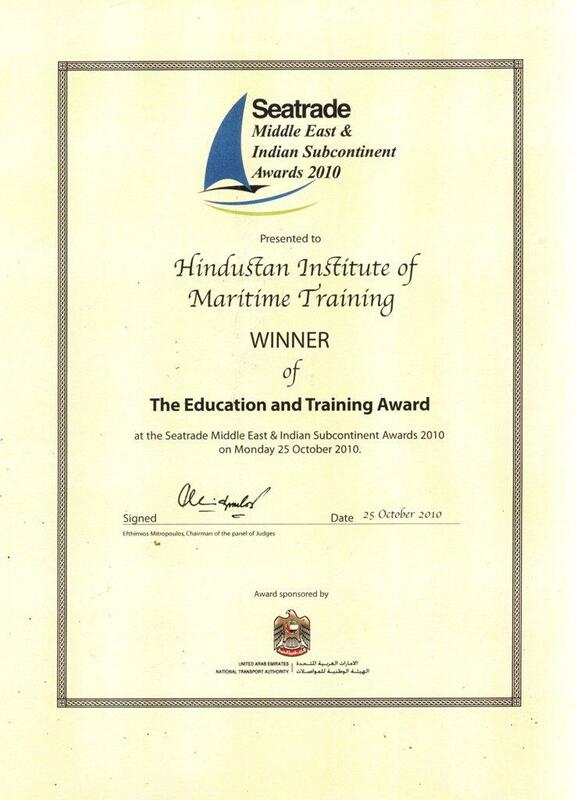 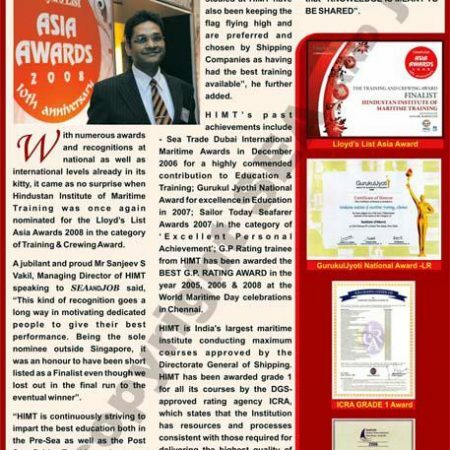 HIMT honoured for highly commended contribution to Education and Training at the Seatrade Dubai International Maritime Awards Presentation in December 2006. 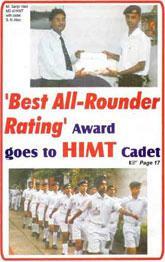 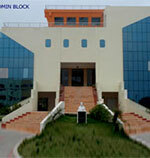 HIMT has been rated outstanding (Grade 1) for all its courses by an authorized rating agency SMERA appointed by Government of India. 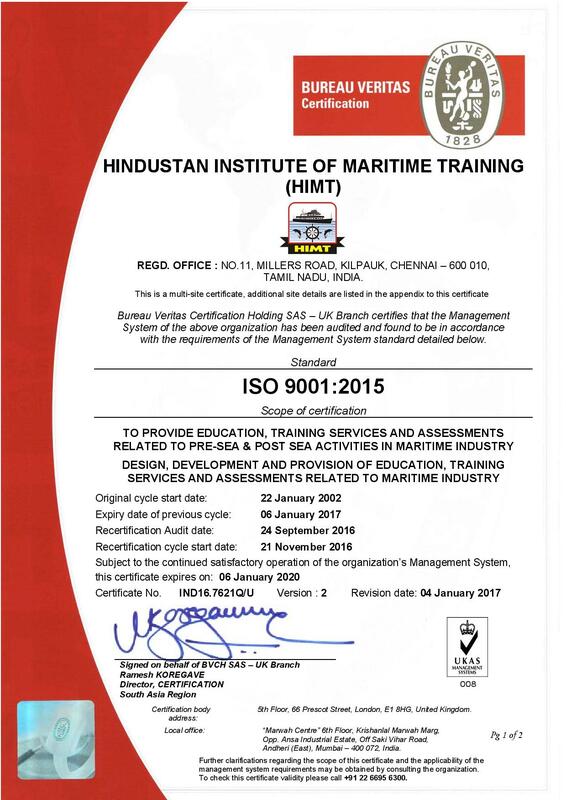 The grading exercise was carried out by a team of experts who have done an extensive comparison of all the training facilities and award highest rating having been impressed by World Class training standards of HIMT, which is now the benchmark for all the other Institutes.